There’s a new term in craft brewing — artisanal. You’ve seen it in cheese, woodworking, bread, and wine. But until now, it hasn’t been used to describe beer all that often. And that’s because we already had the word “craft.” But in recent years, you’ve probably heard more about the craft industry — a bit of an oxymoron — than the craft of small batch beer-making itself. That’s because craft beer is quickly becoming the new default — somewhat disregarding the craft of beer-making in any meaningful sense of the word. Most of the attention on the definition of a craft brewery is focused on size and ownership structure more than the process or artistry itself. Larger craft brewers are still making amazing beers with the same original intent, utilizing many of the same ingredients as they did when they were small. But with all the growth in the craft sector, a new niche has emerged that has little chance of ever becoming industrialized, or defined by objective metrics. And that’s artisanal brewers. The term artisanal can be bastardized like anything else, but so far it’s most often used to describe a brewer who’s making small batches, often aged or fermented in wood, and otherwise incorporates natural elements like yeast, bacteria, and ambient temperatures into the brewing process through wild and spontaneous fermentation. It takes time, sometimes a lot, and a healthy sense of humility in the brewing process. Where industrialization, even on the level of craft, reduces beer-making down to a series of weights and measures and chemistry, the artisanal process does the same, but then releases that beer into the wild. And from that moment on, it’s a matter of balancing the brewer’s intent with nature’s will. Much of the success of craft brewing this time around is due to an increase in quality, consistency, and quantities. These are important elements to supplying and competing in a consumer market. In the 90s, craft producers, save a few, were not prepared to meet these demands, but in the most recent wave of last 10-15 years, craft beer has earned and protected its market share this way. And it’s because of this foundation that some brewers are deciding to open things up a bit, and try something new. In fact, some newer breweries are staking their future on it. Artisanal brewing is replete with risks. It’s far more likely that your beer will stray from your intent than it will ever behave. But to the artisanal brewers like Jester King, that’s the whole point. Most traditional beer styles can be made anywhere on the planet. All you need is access to the basic ingredients, preserved and delivered in a timely manner, and a means of production. That’s what makes beer a manufactured product more than an agricultural one in most people’s minds. But breweries like Jester King are changing that. They’re incorporating hyper-local ingredients, often seasonally, and taking advantage of free resources like bacteria and wild yeast to complete the picture. It’s more akin to cider and wine making than beer production — and Jester King doesn’t just do this for the special stuff. Needless to say, the Texas market is a long way from being primed for Jester King’s offerings. Historically, it hasn’t been conducive to craft or small producers at all. The laws are holdovers from a bygone era, as they are in much of the US, but with some unique quirks that kept most of the world’s greatest beers out of reach. Extract, who came from the distribution side, knows all to well how frustrating the Texas laws are for beer. From the point of view of Shelton Brothers, the importer he worked with at the time, Texas was impenetrable. 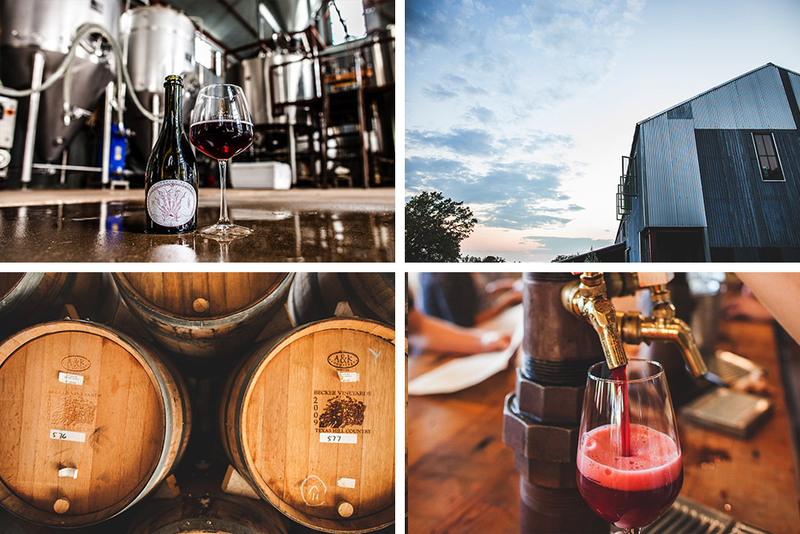 In addition to the barrel-aged, wild, and sour beers, Jester King makes a “table beer” — a very low abv, full-flavor beer with a tradition of serving farmers and workers throughout the day. Also known as “small beer,” these super-sessionable beers are the counter-trend to the hops race and the monster chasers. They’re quietly showing up in the portfolios of craft brewers around the country, such as Penrose’s Proto Gradus, a 4% Belgian single, and Crooked Stave's Petite Sour at 4.5%. Jester King’s Petite Prince comes in at an astonishing 2.9% while retaining that light, fluffy saison flavor full of citrus and a balanced bitterness.